A British teenager has contacted scientists at Nasa to point out an error in a set of their own data. 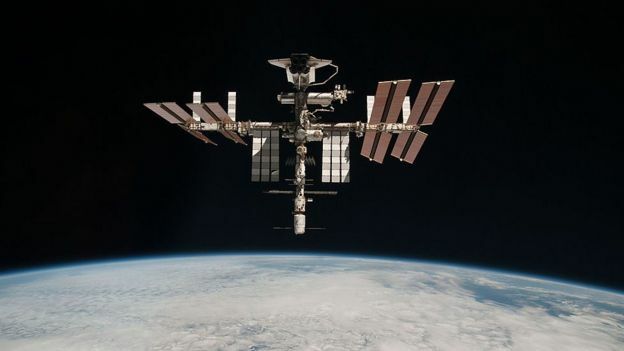 A-level student Miles Soloman found that radiation sensors on the International Space Station (ISS) were recording false data. The 17-year-old from Tapton school in Sheffield said it was “pretty cool” to email the space agency. The correction was said to be “appreciated” by Nasa, which invited him to help analyse the problem. “What we got given was a lot of spreadsheets, which is a lot more interesting than it sounds,” Miles told BBC Radio 4’s World at One programme. During UK astronaut Tim Peake’s stay on the station, detectors began recording the radiation levels on the ISS. “I went straight to the bottom of the list and I went for the lowest bits of energy there were,” Miles explained. Miles’s teacher and head of physics, James O’Neill, said: “We were all discussing the data but he just suddenly perked up in one of the sessions and went ‘why does it say there’s -1 energy here? '” What Miles had noticed was that when nothing hit the detector, a negative reading was being recorded. But you cannot get negative energy. So Miles and Mr O’Neill contacted Nasa. “It’s pretty cool”, Miles said. “You can tell your friends, I just emailed Nasa and they’re looking at the graphs that I’ve made.” It turned out that Miles had noticed something no-one else had – including the Nasa experts. Nasa said it was aware of the error, but believed it was only happening once or twice a year. Miles had found it was actually happening multiple times a day. Prof Larry Pinksy, from the University of Houston, told Radio 4: “My colleagues at Nasa thought they had cleaned that up. “This underscores – I think – one of the values of the IRIS projects in all fields with big data. I’m sure there are interesting things the students can find that professionals don’t have time to do.” The professor – who works with Nasa on radiation monitors – said the correction was “appreciated more so than it being embarrassing”.